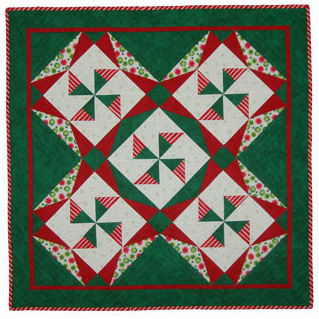 HMD-101 Christmas Candy (73" x 94") is made from 12" pieced pinwheel blocks that are separated by a pieced sash block that alternates direction. This fools the eye a bit when trying to determine where the main blocks start and stop. 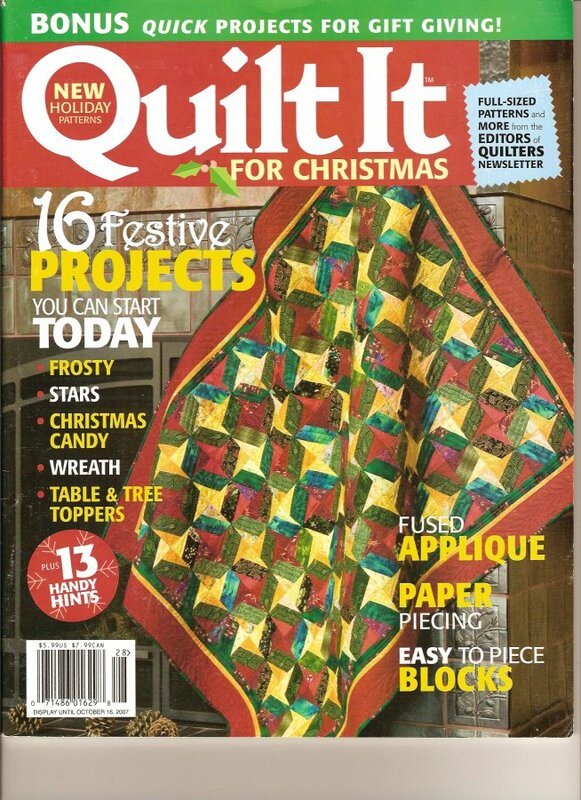 The main triangle in the sash blocks are cut using a template, but that shouldn't deter a confident quilter and beyond! 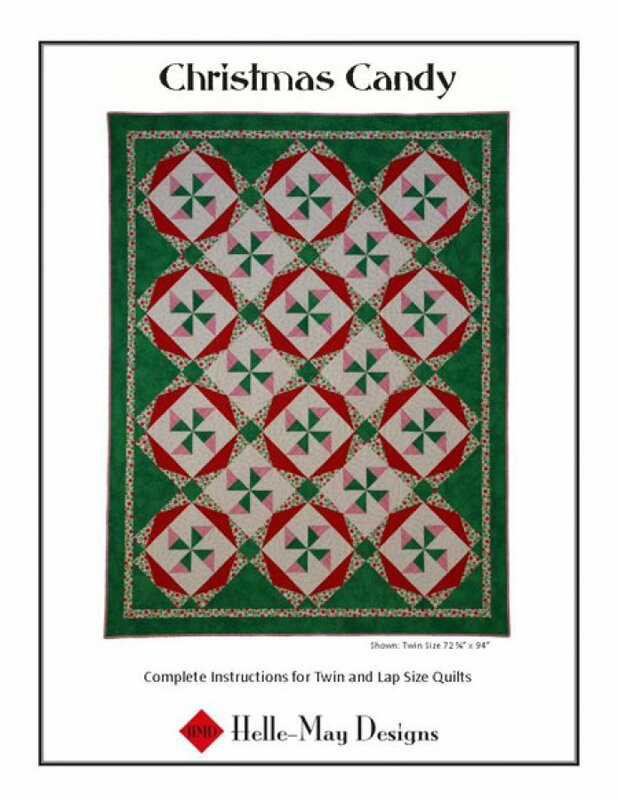 This pattern also comes with directions for a lap size quilt, wall quilt and tablerunner. The wall quilt and table-runner use 8" blocks. Changing the colors and/or the placement of the colors opens up endless possibilities. Grab a box of colored pencils and play with the enclosed uncolored layouts! 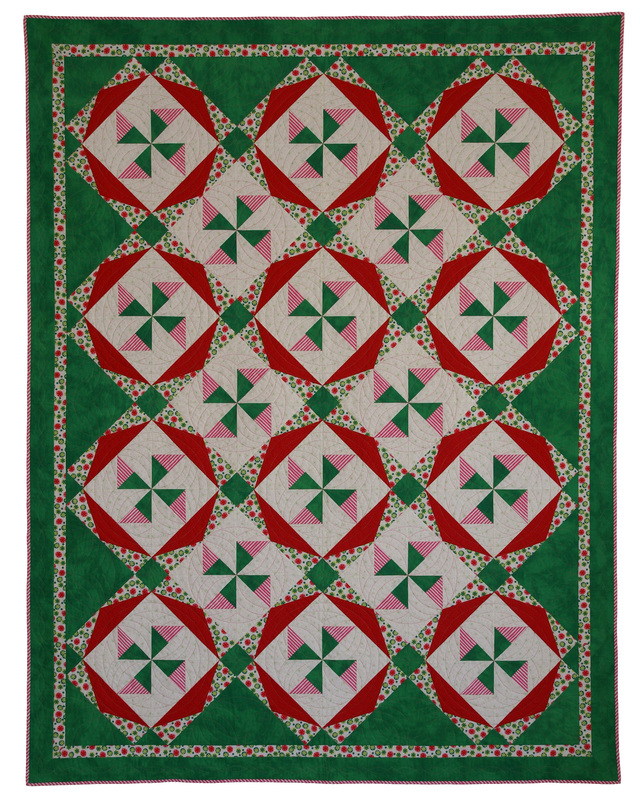 Click on quilt for larger image. 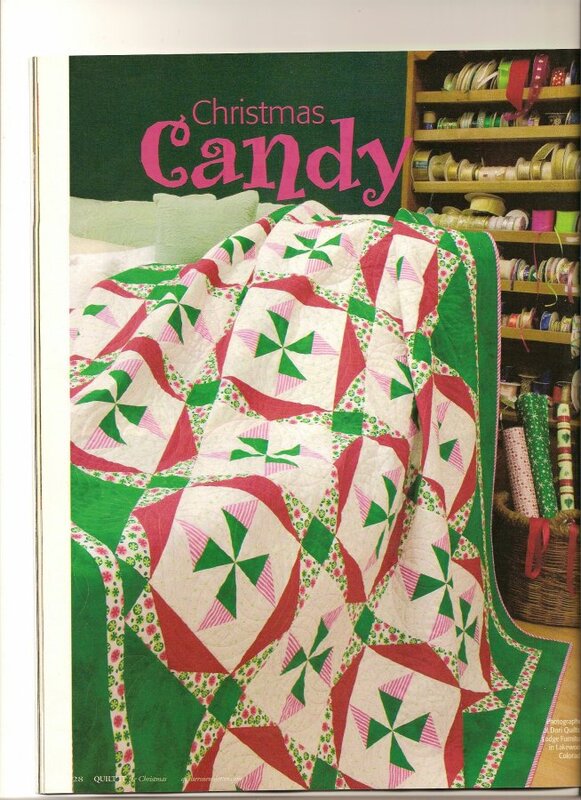 Wall Quilt/Table Topper 33" x 33"
Christmas Candy was originally designed and made for "Quilt It for Christmas 2007" a Quilters' Newsletter special publication. The colors and name were inspired by a novelty print by Michael Miller which reminded me of little round Christmas candies.